The Artist’s Way “creative cluster,” hosted by the Mentoring Store, has arrived at its conclusion. The program ran January to April 2014. 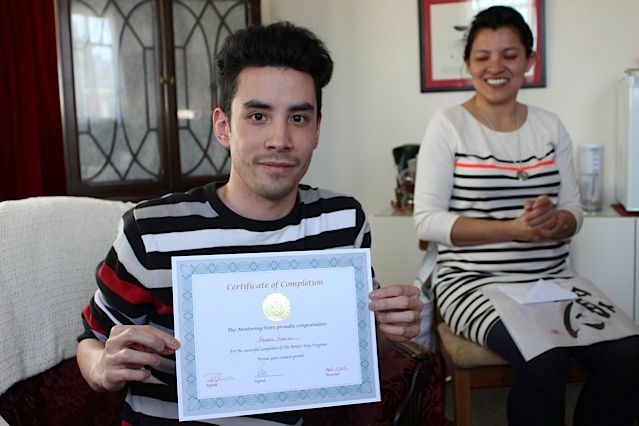 Facilitated by Adler School of Professional Psychology (Vancouver Campus) Community Practicum students, it was attended by students and community members. All group members experienced tremendous growth, and this was epitomized during the last meeting to celebrate the completion of the program. 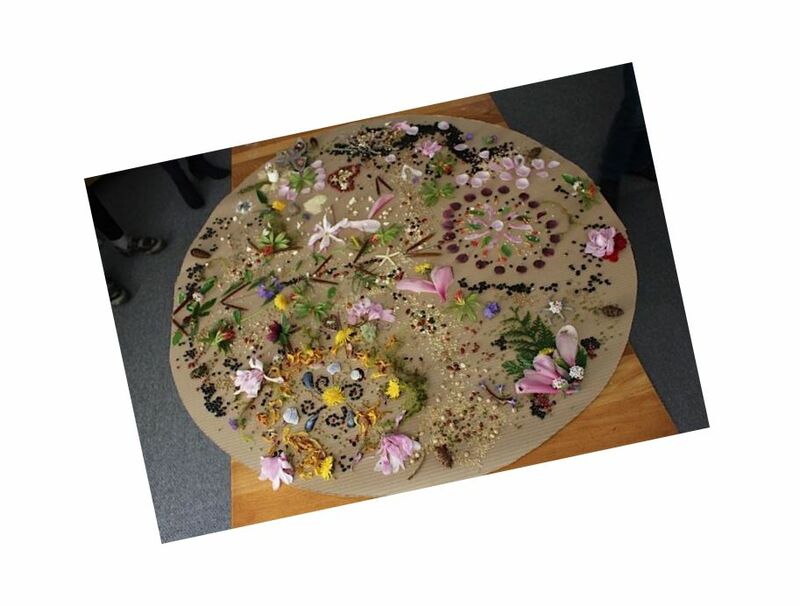 The Artist’s Way program concluded with an art activity during which the members collaborated to create an organic mandala. A mandala is a symbolic art image, typically circular, that unifies the collective energies of the universe. Group members brought materials from nature that symbolically represented their unique experience of artistic creativity and growth during the Artist’s Way program. To reflect the fluid and dynamic nature of collective energy, when completed, the mandala was then dismantled, with each member taking a portion of the organic matter to release back to the universe. Others spoke about the aesthetics the Adler practicum team provided: tea service, fine china, candles, beautiful centerpieces, opening and closing rituals, and thoughtfully handcrafted giveaways. These features helped members hold focus on their commitment to self. Although the weekly meetings came to an end, the commitment to the program continues on. During the last session, members made a commitment to themselves and the Artist’s Way through a 90-day pledge to check in with each other, continue writing Morning Pages, and undertake Artist’s Dates. These commitments sustain the flow of the creativity fostered in the group. Group members recommend the program to others,“ it is a supportive program that will help you initiate change in your life. 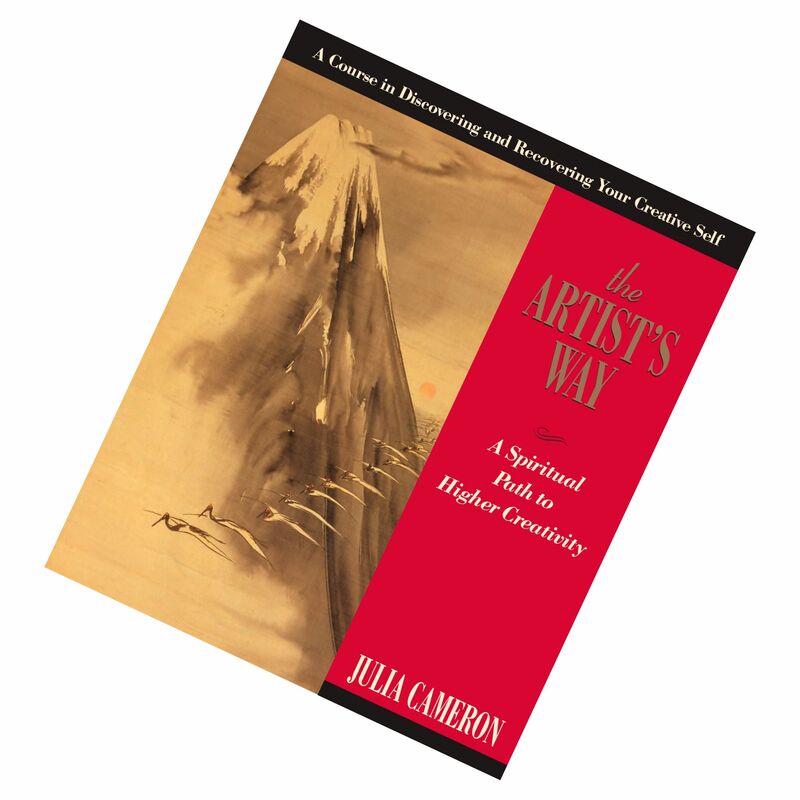 It is a wonderful book (Julia Cameron’s, The Artist’s Way) to do in a group setting as it encourages you to keep to the schedule and hold yourself accountable.” It is with these sentiments that the Mentoring Store hopes to bring future growth to others.